When will be The Andy Williams Show (1958) next episode air date? Is The Andy Williams Show (1958) renewed or cancelled? Where to countdown The Andy Williams Show (1958) air dates? Is The Andy Williams Show (1958) worth watching? This is the 1st of what would be 3 separate series’ titled “The Andy Williams Show” or the same show on 3 different networks. This series began on Thursday night at 9 PM, 3 July 1958 on “ABC” TV as a 30-minute Musical Variety show. Andy would always sing a few of his own hit songs during the show and always had a big name guest star or 2 on sing or perform comedy or whatever they could do. The show went off the air in September 1958. It reappeared on Tuesday night at 10 PM in July 1959 on “CBS” TV as a 60-minute show. It went off the air for the 2nd time in September 1959. Both versions of this series on “ABC” and then on “CBS” were identical except for the length of each show. The show was on both networks as a summer replacement series for whatever popular series was usually on during that time slot but was on hiatus until September when they returned with all new shows. In September 1962 the series sprang back up for a 3rd time on Thursday nights at 10 PM on “NBC” this time once again in a 60-minute format. In September 1963 the show changed its’ time slot to Tuesday nights at 10 PM. In October 1964 it moved again to Monday nights at 9 PM. In September 1966 “NBC” decided to move the show once again this time to Sunday nights at 10 PM. The series made its’ final move in September 1969 to Saturday nights at 7:30 PM. It stayed in this time slot until it finally ended its’ run on 17 July 1971. There were a few other shows with Andy’s name on them over the years. Some of these were “The Chevy Showroom Starring Andy Williams”, “The Andy Williams and June Valli Show” and “Andy Williams Presents Ray Stevens”. His most popular show however were his annual holiday specials that he presented each year for a number of years titled very appropriately “The Andy Williams Christmas Show”. Every year on his Christmas special he would always have the entire Williams clan and 3 of his brothers would join him in singing Christmas songs as well. Technically he didn’t really have 3 different shows on 3 different networks with the same exact title. What he had was a show that took a break changed networks, took another break and changed networks again. 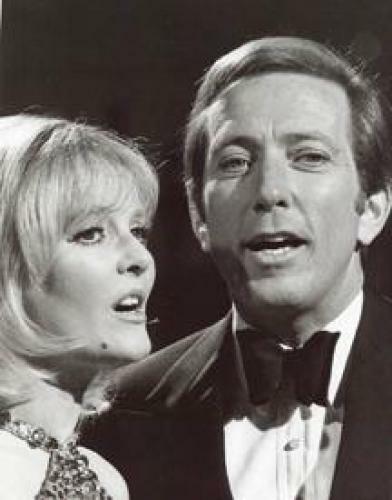 EpisoDate.com is your TV show guide to Countdown The Andy Williams Show (1958) Episode Air Dates and to stay in touch with The Andy Williams Show (1958) next episode Air Date and your others favorite TV Shows. Add the shows you like to a "Watchlist" and let the site take it from there.